at every level looking to live the whole and true story of their lives. South African writer Antjie Kroger described meeting a nomadic desert poet in Senegal, who shared with her the role of the poet in his culture. The poet's job, he explained, is to remember the water holes. Survival of a group depends on a few water holes scattered throughout the desert and when the people forget, it is the poet who remembers and leads them to it. We, as humans, are yearning for deeper connections across all areas of our lives. Whole Story exists as a response to this cultural phenomena. We wholehearted believe that bold story-strategies, combined with masterful facilitation hold within them a vibrant antidote for isolation produced by our modern world. Our training experiences are designed specifically for teams and individuals seeking creative models of professional learning and kinship. At our core, we are a team of artists and cultural solutionaries whose shared commitment is to an embodied ethic of love, belonging and wholeness. We are so excited to meet you here and look forward to connecting soon. Every story matters but not all stories produce a powerful impact. In our experience, most attempts to use creative narrative in professional learning fall short. Why? Learners aren't given clear frameworks for understanding the uses of individual and organizational stories within the learning context. Whole Story's team trainings begin with a deeply collaborative consideration of the core stories that make up the room. Our immersive, integrated leadership trainings explore stories of identity, vision, and belonging that shape our society’s understanding of leadership and service. Story Cyphers are organizational trainings and facilitated team-building experiences. Today's purpose-driven professionals are seeking resonant models of leadership that honor transparency and a plurality of ideas in the workplace. 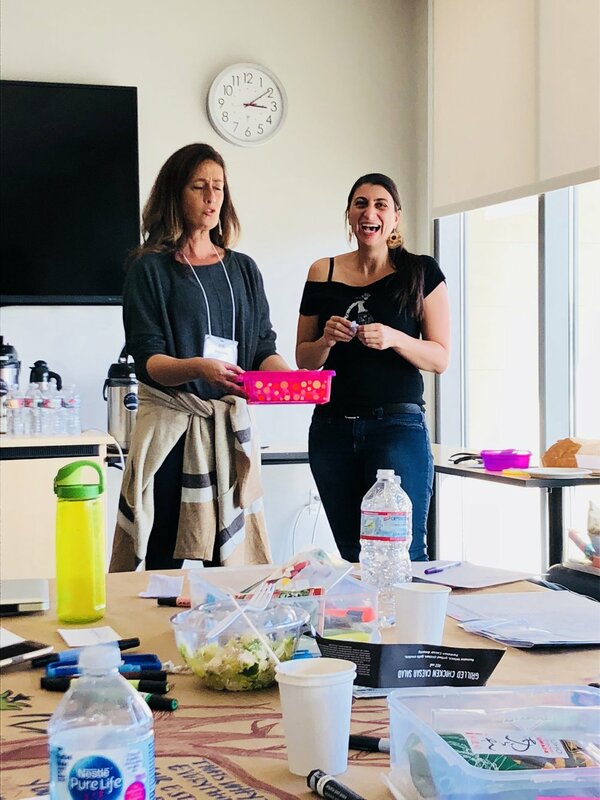 Our leadership trainings introduce your group of organizational leaders to Whole Story’s narrative-rich framework for leadership, a model for deepening professional kinship and developing wholehearted accountability as a colleague and leader. Vibrant and growing organizations require cultural blueprints—a documented plan that declares an organization’s unique cultural identity and the stories behind current operating systems. Whole Story produces beautiful, functional Strategic Narrative Plans that weave treasured documents and organizational language, interviews and stories from core staff that endeavor to name the people, places, and practices that have built, and will help sustain, your organization into the future. Strategic Narrative Plans are developed with our clients over a period of 12, 24 or 36 months. is Co-Director of School Transformation Through the Arts and the Integrated Learning Specialist Program with Mariah Rankine-Landers, out of the Alameda County Office of Education. Moreno is Assistant Professor at the California Institute for Integral Studies and Theatre Arts Lecturer with San Jose State University. She is founding director of award-winning student theatre company OakTechRep and the Oakland Theatre Arts Initiative. Her passions are theatre, directing, acting, story circles and firing up mirror neurons through empathetic listening. We're so excited to connect with you. © 2019 Whole Story Group, LLC.